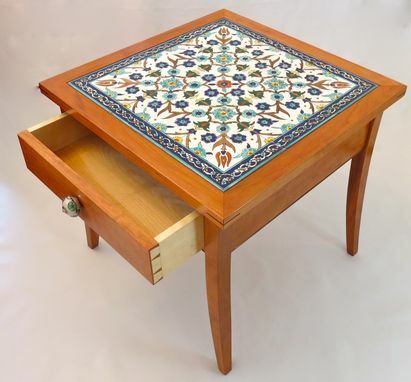 This side table was built for a client that want hand painted tiles inlayed into the top. 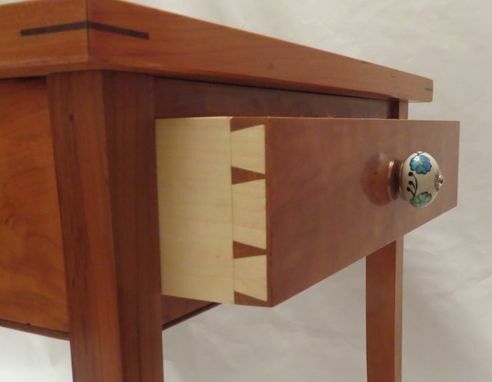 As with all my furniture it is made to last with rock solid mortise and tenon joinery. 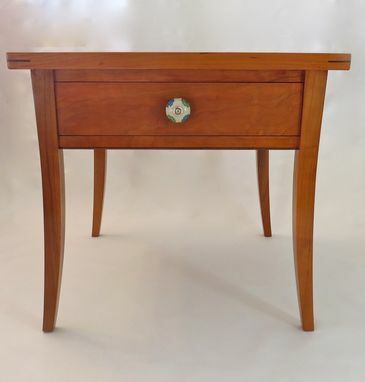 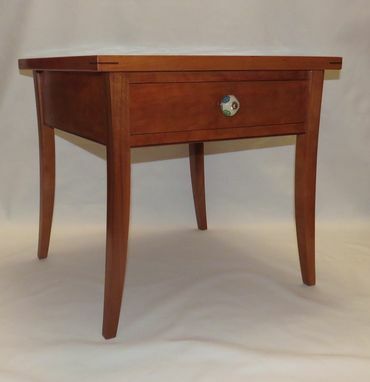 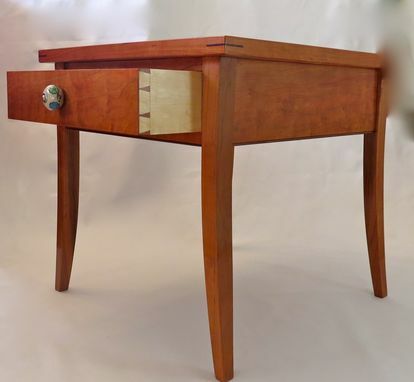 Made from solid Cherry featuring a beautiful hand fitted hand cut dovetailed drawer. 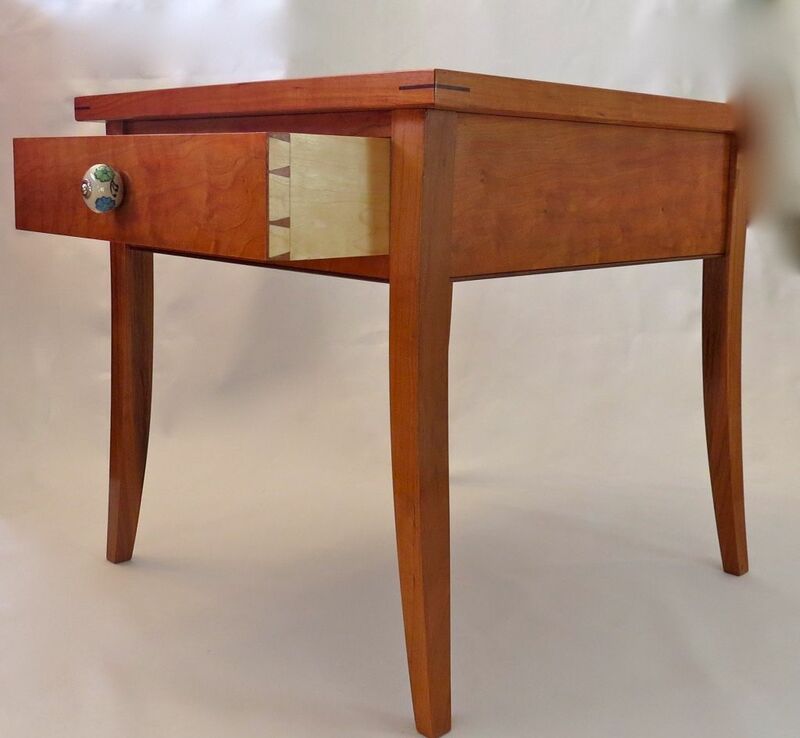 I can make this table for you with a solid top and your custom size.